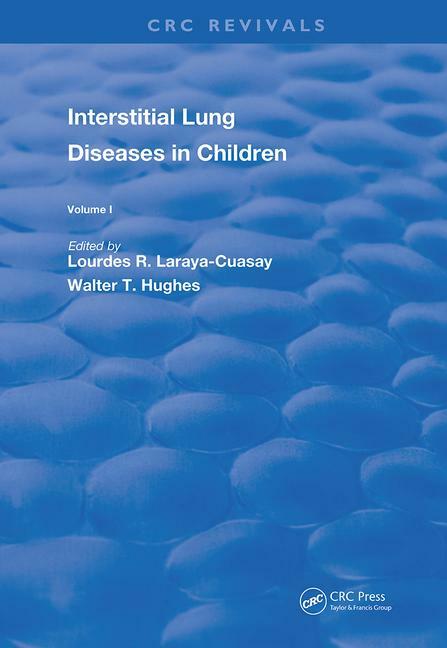 First Published in 1988, Interstitial Lung Diseases in Children identifies, describes and offers insight into how to treat the vast array of lung diseases found in infants, children, and teenagers. Filled with clear and useful references, this book works best as a guide for Pediatricians and those with a keen interest in Medicine. 1. Clinical Aspects of Interstitial Lung Disease in Children. Part 1. The History. Part 2. Lung Sounds in Interstitial Lung Disease. 2. Genetic Aspects of Interstitial Lung Disease. 3. Cells and Extracellular Matrix of the Alveolar Wall. 4. Pulmonary Immunology. 5. Pulmonary Functions in Children with Interstitial Lung Disease. 6. Radiology of Interstitial Lung Disease in Children. 7. The Role of Lung Biopsy in Interstitial Lung Diseases in Children. Part 1. Lung Biopsy. Part 2. Bronchoaveolar Lavage. 8. Nutrition and the Lung. 9. Effects of Infection on Function and Development of the Lung. 10. Neonatal Pneumonia. 11. Bacterial Pneumonia of Infants and Children. 12. Chlamydia Pneumonitis. Index.